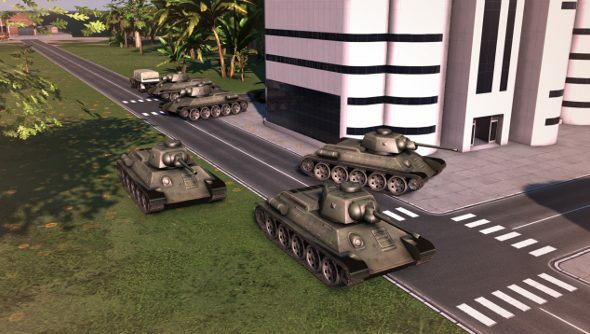 Kalypso Media has confirmed, today, that Tropico 5 has been refused distribution in Thailand. The Board of Film and Video Censors said that it could not be released, because “some contents of the game are not appropriate for the current situation”. The board did not mention what content was inappropriate, but it doesn’t take a genius to figure out. In May this year, The Royal Thai Army declared martial law, and then announced that it was a coup. Curfews were put in place, people were rounded up and political gatherings were banned. Though tongue-in-cheek, Tropico 5 is a political simulator, where tyrannical regimes can be built and overthrown. It probably cut too close to the bone. “This does sound like it could have come from one of El Presidente’s own edicts from the game,” said c-founder Stefan Marcinek. It’s possible that DLC from the last game, titled Junta, touched a nerve. In only a decade, Thailand has been taken over by two juntas: one in 2006, and the coup back in May. It’s unlikely something the military government can have a good joke about at the moment. It’s a shame for folk in Thailand, as Tropico continues to be an entertaining series. It needs a bit of new life, but, when I reviewed Tropico 5, I still found myself getting sucked into the political parody.